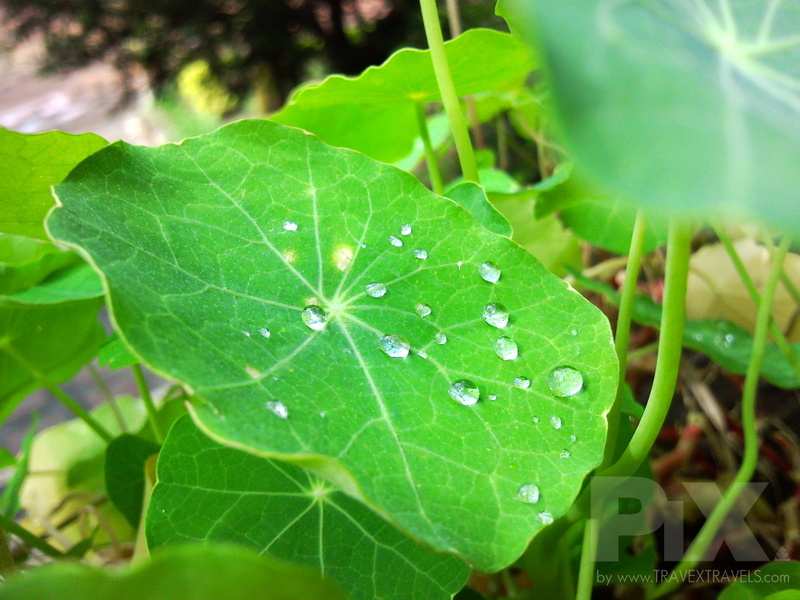 These little droplets of water stay on the surface of the leaves. The dew over the leaf flock in the morning and evaporates after sometime. Like high school friends who happen to be your companion in a half decade, they evaporate like water after the parting time.